Our 'Best of Himachel Pradesh' tour allows you to explore all the most popular tourist places within the state over the course of 10 days. 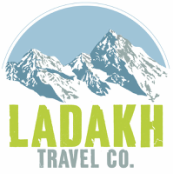 Admire the colonial style architecture - leftover from the days of the Birtish influence, enjoy the fresh air as you marvel at the forestry in the hill-stations, and take a moment to learn about a new part of India as you mix with the Tibetan refugees in Dharamsala and the Himachali tribes people around the region. This trip is great for anyone who wants to escape the hustle and bustle and enjoy some fresh mountain air - and a cooler climate all year round. Our driver will be waiting to collect you from your preferred pick up location in Delhi and he will transfer you to our prearranged hotel accommodation for overnight stay. After breakfast, our driver will collect you at your preferred hotel for the long and scenic drive to ‘Shimla’ which is the former summer capital of British India. Set amidst the snow-capped Shivalik mountain ranges and offering stunning views of the mighty Himalayas, Shimla is surrounded by pine deodar, oak and rhododendron forests. On arrival in town you can enjoy the evening at leisure – we suggest a walk down mall road before retiring in the hotel for a well earned rest. Overnight stay in Shimla. In the early morning, our driver will transfer you to nearby ‘Kufri’ which is renowned as an exotica of nature as it is completely surrounded by dense forest and snow capped mountains. Enjoy the natural beauty and the fresh high altitude air before returning to Shimla for a self guided walking tour of the ‘Lakkar Bazaar’ where you can shop for local handicrafts or enjoy the panoramic views of the town from the main lookout before returning back to your hotel for overnight rest. After an early breakfast you can visit Solang Valley & Gulaba which are famous for their adventure sporting activities such as skiing, paragliding, zorbing etc. In the afternoon you can enjoy a walking tour of the colourful Manali mall or a visit to the ‘Hadimba Devi Mandir’ temple which is surrounded by a beautiful pine forest. Also available is a dip in the local hot springs at Tatta Pani or just a well earned sleep in the hotel! Overnight stay in Manali. 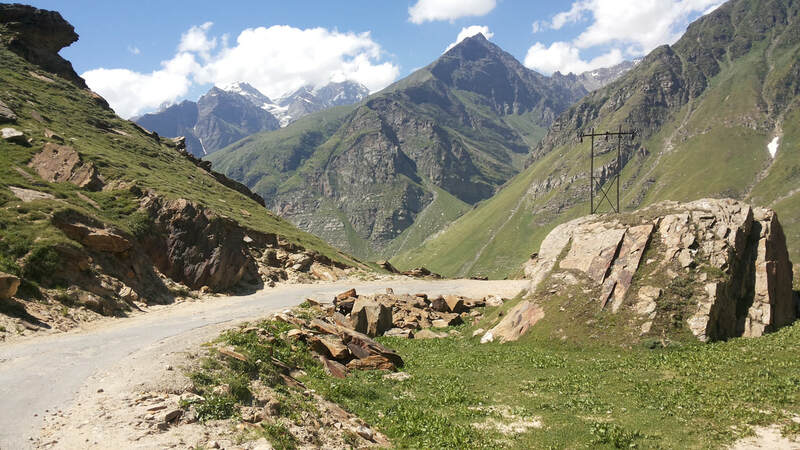 Depart Manali after breakfast and make your way to Dharamshala which is a beautiful and peaceful town spread at different levels and surrounded by the snow covered Dhauladhar ranges. Proceed to Mcleod Ganj where you can visit the world famous Dalai Lama temple, and shop and prepare for your next day trek in the Tibetan market (which is the Buddhist capital of the Tibetan government in exile). Overnight stay in Mcleod Ganj. After breakfast check out from the hotel and commence your trek from ‘Bhagsu Nag’ as you make your way towards ‘Triund’. Today involves a steep ascent for approximately 4 hours through mixed forest of oak, rhododendron and deodar trees to reach ‘Triund’. On arrival, you will be greeted by an alpine meadow which is situated on top of a ridge from where you will have superb view of the Dhauladhar mountain peak on one side and Kangra valley on the other. Enjoy dinner and overnight at our prearranged camp accommodation. In the morning make the return (downhill) trek to Bhagsu Nag where our driver will be waiting to transfer you directly to Dalhousie. Dalhousie is a beautiful and green hill station area that is rich in colonial style architecture, and a wide diversity of vegetation such as pine trees, deodars, oaks and rhododendrons. On arrival to Dalhousie you will check in to the hotel for a fresh shower and well earned rest before having the rest of the evening to explore at leisure. Enjoy breakfast in the hotel before embarking on a full day of sightseeing beginning at ‘Khajjiar’ which is also known as ‘mini Switzerland of India’. Find peace in the lush green meadows surrounded by pine and ceder forests and enjoy optional visits to various churches before returning back to Dalhousie town where you can explore the local market and shop for souvenirs as per your interest. As per your personal requirements, our driver will drop you at your preferred destination for the conclusion of your tour.